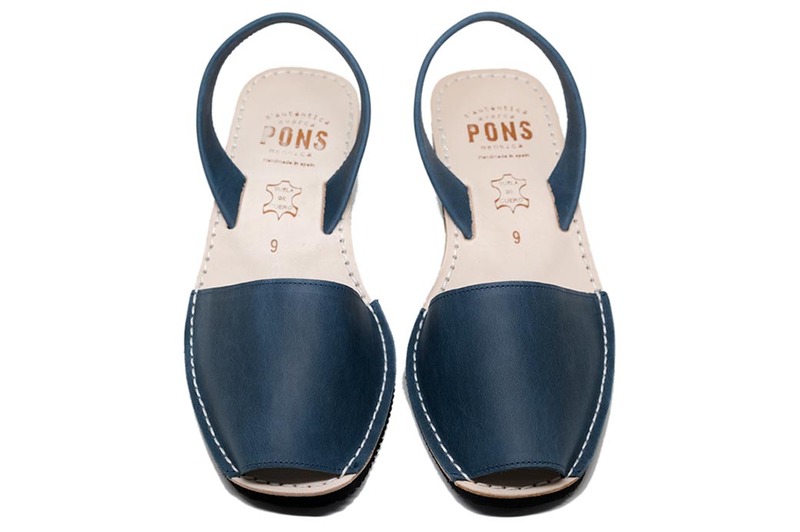 A rich navy color that can also be a fun neutral, our Wedge Pons Avarcas in French Blue are handmade in Menorca Spain from high quality leather and have a lightweight rubber sole with a heel height of almost 2 inches (5 cm). 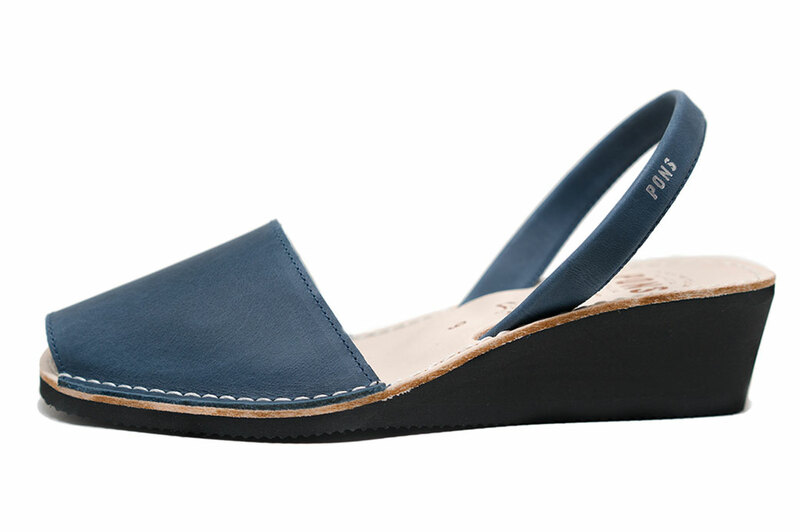 These sandals can mix and match with black and brown or even brighter colors like yellow. We love to pair them with light denim during the warmer months!